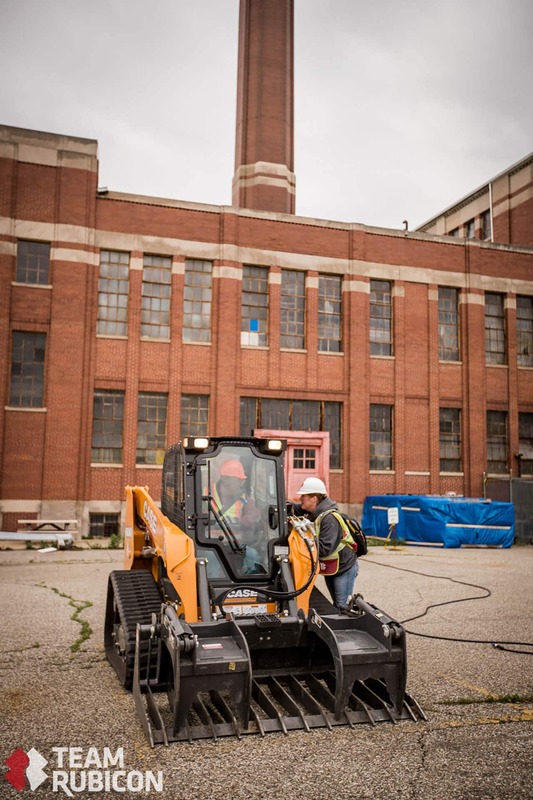 Donated equipment supports Team Rubicon’s Operation Joe Louis—a revitalization project in the Herman Kiefer Hospital complex and neighborhood of Detroit, Mich.
CASE Construction Equipment dealer Southeastern Equipment Co. Inc. donated the use of two TR310 compact track loaders with grapple buckets to Team Rubicon for Operation Joe Louis—an urban blight response project in Detroit, Michigan. Team Rubicon has worked in partnership with the City of Detroit’s Motor City Make-Over event—an annual citywide volunteer cleanup and beautification initiative—and Herman Kiefer Development LLC, to clean up the Herman Kiefer Hospital complex and neighborhood by conducting damage assessments, debris management and home repairs in the area. 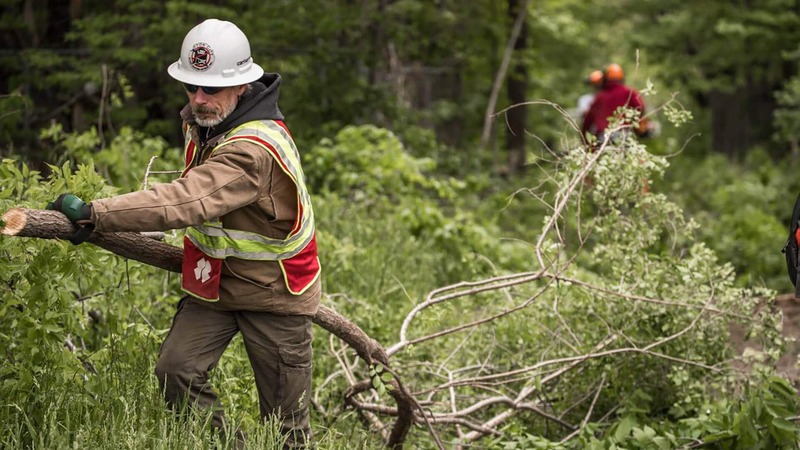 Team Rubicon brought in over 100 volunteers and training personnel from around the U.S. to assist local residents in the cleanup effort of their properties, as well as any vacant or abandoned properties adjacent to occupied structures. 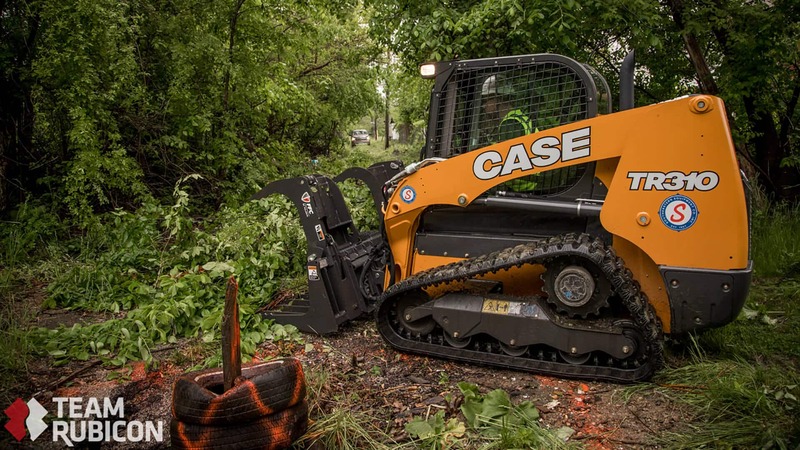 The CASE TR310 CTLs were used in debris management initiatives during the project, including the removal of fallen or dangerous trees, trash, overgrowth and the consolidation of debris and refuse, as well as the demolition of several garages and other outbuildings. The City of Detroit has experienced significant economic divestment over the last 50 years, and this isn’t the first time that Team Rubicon has worked in the city. Team Rubicon responded to flooding in the area in 2014 during Operation Flood Wrangler. 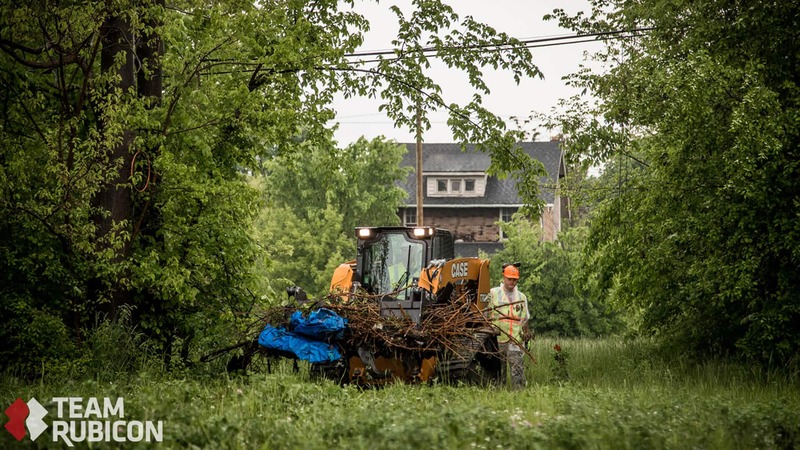 In 2016, they partnered with Motor City Blight Busters for a revitalization project in the historic Brightmoor neighborhood. Team Rubicon is a veteran-led disaster response organization that deploys teams globally. Its heavy equipment operators have been trained as part of a partnership with CASE that began in November 2015. For more information on Team Rubicon, visit TeamRubiconUSA.org. For more information on the partnership between CASE and Team Rubicon, visit CaseCE.com/TeamRubicon.